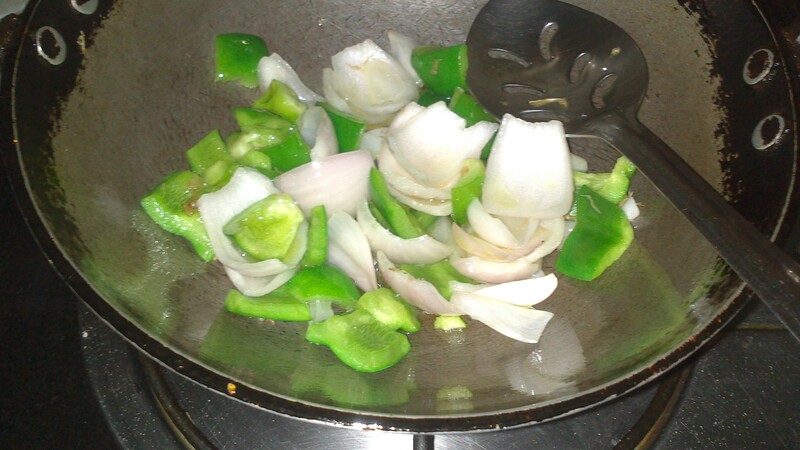 2) Cut the Onions and Capsicum in square shape. 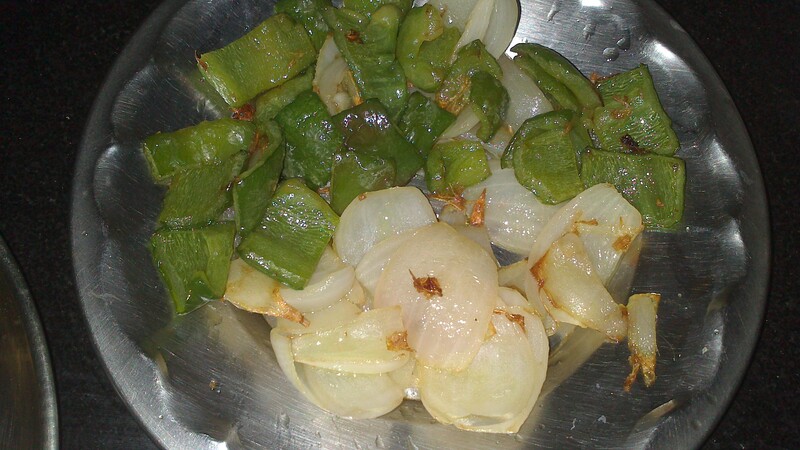 3) Take oil in a kadai and saute the capsicum and onion in it. Ensure that they remain crunchy. 4) Once they are done, take out in a plate or bowl or anything. (leaving the oil behind). 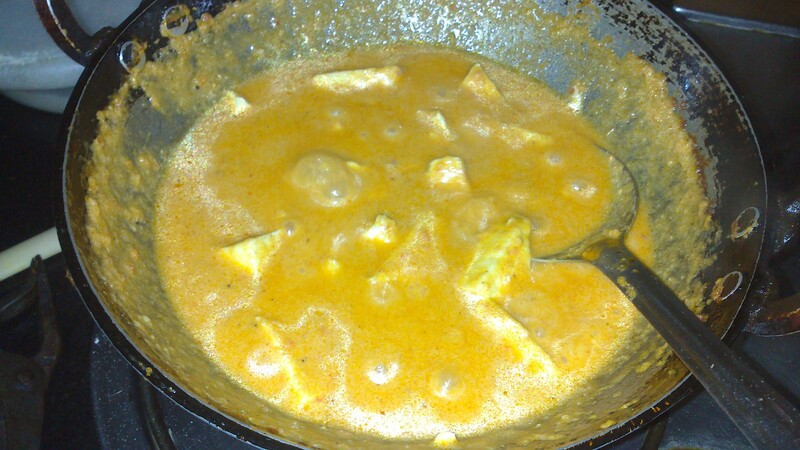 5) Now, in the same kadai, add the ginger garlic paste. and saute it. 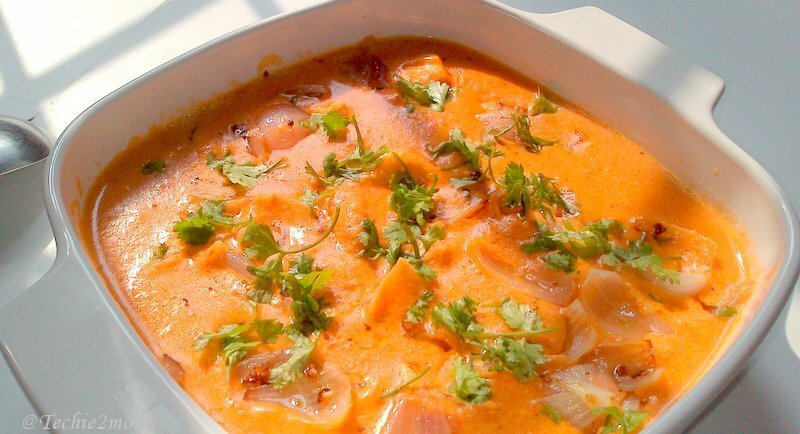 6) Add the paste of tomato, kaju and cream to the kadai. 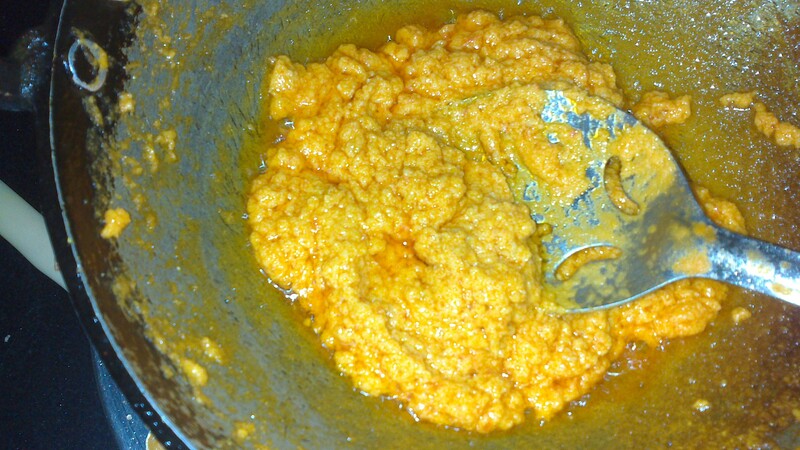 8) Now, add the salt, garam masala, turmeric, kasoori methi and black pepper powder and mix well. 9) Add half cup of warm water to the kadai and mix well. 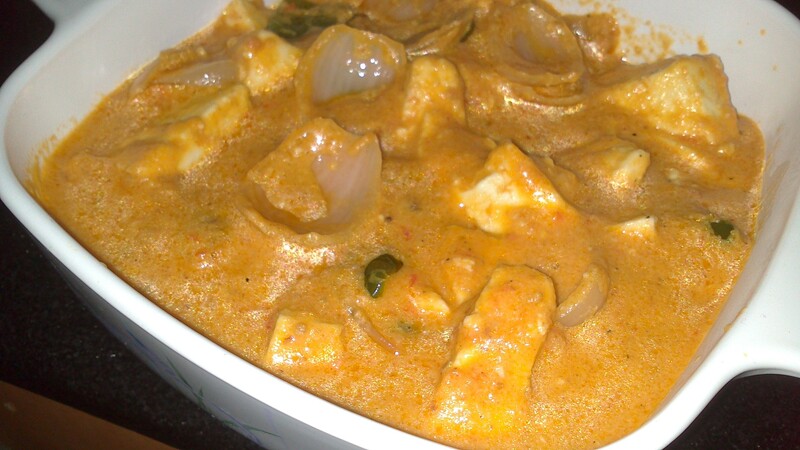 10) Cut the paneer pieces in a triangular shape and add to the kadai. 11) Cook on a medium flame for 5 mins. 12) Add the sauted Capsicum and onion to the curry and it is ready!!! Take out in a bowl and garnish with finely cut dhania patta and a slit green chilli. looks so perfect pankti….yummy and rich!!!! Hi! Your shahi paneer recipe was nominated as one of the "Best Shahi Paneer Recipes on the Net". To vote for it, please visit http://easyindianrecipes.org/side-dish-recipes/best-shahi-paneer-recipes-on-the-net-vote-for-your-favorite/ – your recipe is positioned at #69 (random order).